Cost to build a porch varies greatly by region (and even by zip code). Get free estimates from deck, patio and porch contractors in your city. Cost to build a porch varies greatly by region (and even by zip code). The average cost of building a porch is $21,440. Porch. Patio. Deck. What's the difference? Having your own porch isn’t an impossible dream. A porch is similar to a deck in that it’s an outdoor space connected to the house, but a porch also includes a rooftop and may or may not be enclosed. A porch can be a valuable addition to your home. Not only does a porch look beautiful, but it extends your living space to relax, play, and enjoy the outdoors. 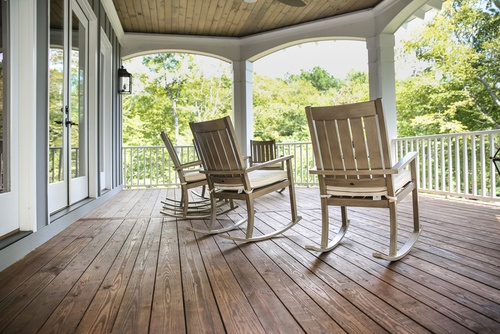 Porches also add resale value to your home and can be an enticing offering to prospective buyers. The average project in the US is a 16’ x 20’ porch with railings 1 and a gable roof. This project will cost, on average, $67 per square foot for a total cost of $21,440. Porches help set the scene for a picturesque evening in a rocking chair sipping iced tea, but there may be downsides, too. When thinking about a porch, here are some things to consider. As with any home improvement project, the cost will vary depending on the specifics of your project. Both materials and labor are charged by the square footage, so the larger the porch area, the more expensive the project. For example, labor will cost $20-$40 per square foot, so a 100 square foot porch would cost $2,000-$4,000 just for labor. A larger project and one closer to the US average would be 320 square feet and a minimum of $6,400 for labor only. Related to porch size are two key elements: height and width. Many porch experts will say that a porch should be about 6 feet wide, but you could have a porch as narrow as 4 feet or even wider than 6, which will expand your furniture options. Again, as the floor size expands, so does the price. Another factor related to size is the distance of the porch from the ground. If it’s above a certain height, you will be required to have railings 1, which will add to your costs. Prefabricated railings start at $50, but that’s just the base cost for materials. If you have unusual architectural features or the porch is an unusual shape, not only will your materials cost increase, but you may have to pay closer to the high end of the labor cost spectrum. Other factors that go into the cost of a porch include the type of enclosure, be it screened or glass, the type of roof (hip, shed, or gable), the type of siding used, flooring/deck materials, accessories, and paint. In addition, you’ll need to consider the cost of removing any pre-existing deck or porch. If you need to get rid of an old structure in order to make room for a new one, the cost for demolition includes debris removal and starts at $4-$15 per square foot. Clueless about porches? Get familiar with the terminology that contractors and designers use when talking about the different components of a porch. Just as a house has walls, so does a porch (sometimes). Depending on your design and whether or not the porch is enclosed, your porch may have one or more walls. These can be made from wood, concrete siding, composite, brick, or stone. Knee walls are short walls, about knee height, that adds a nice aesthetic touch and help protect against inclement weather. The type of siding you choose for your porch will also impact the cost. Brick or stone, for example, costs $11-15 per square foot for installation, and concrete siding costs $4-$10 per square foot. 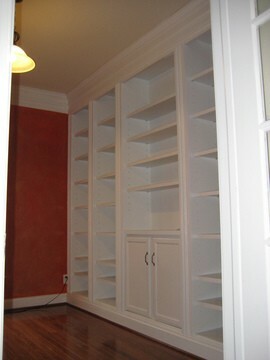 As with all features, your contractor may include this in the final estimate, as opposed to a line item. Every porch has a floor and a roof—the columns connect the two and support the roof structure. The number of columns you have will depend on your design and building codes. Some porches have windows, and others have walls made of glass to create a sunroom. A glass-enclosed porch, or a porch with mostly windows, will cost $700-$1,000 per window, and you may need several. Enclosed porches have a door that leads into the porch area. Some porches have gates, which serve as both decorative and functional features. Not all porches are enclosed, but if you intend on having an enclosed porch, the enclosure material will make a difference in the final price. The cost of materials for screening in a porch are closer to $4.44-$6.93 per square foot. Many people love screened-in porches, as they are a great way to enjoy the outdoors without having to deal with annoying insects. 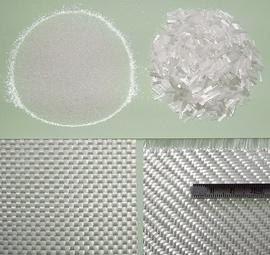 There are different screen materials available. 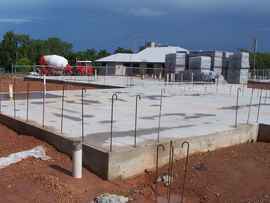 The foundation is a critical part of the porch structure, as it provides the strong base for the rest of the construction. This is particularly important if you are building a raised porch. Porch foundations are typically pier style, as opposed to the excavated and poured or slab foundations 4 that are typical with houses. Pier style foundations use beams to hold the weight of the structure. Foundations cost $5-$8 per square foot. The floor or deck of the porch is built on top of the foundation. The floor can be built from wood, brick, composite, or even concrete or stone. In terms of flooring, there are a few options: pressure-treated wood, composite, brick, stone, or concrete. Brick and stone are heavier and may not be appropriate for elevated porches, and the prices will vary significantly. For example, the material cost of brick is $6-$10 per square foot, and the cost of lumber starts at $7.50 per square foot. If your porch is raised off of the ground, there is a fairly large gap that’s left open. This is referred to as the skirt of the porch. It’s recommended that the skirt be covered with lattice or something comparable so that large critters don’t make themselves at home under the porch. There are several different roof types to choose from for your porch. Gable Roof – Very common, the gable roof slopes on two sides and can fit in well with many different house styles. Hip Roof – The hip roof has slopes on three sides and is more like a pyramid in structure—there are no gables. Hip roofs take a little more work to install. Shed Style – A shed style roof is not appropriate for every house. The roof attaches to the house and has a singular slope over the porch. This is a good option for narrow porches, but not deep porches. Some of you may not be able to stop at a simple porch. You may want to enhance your outdoor space with accessories. This includes ceiling fans and electrical outlets. A ceiling fan costs $110-$400, and you’ll also need an electrician to wire the porch, which costs $65-$85 per hour. Paint is a small, but important, piece of your project. Painting the porch costs approximately $1.00-$2.50 per square foot, but your contractor may include the costs with the total cost of the project and not itemize it. Just as there are many different architecture styles, there are many different porch styles. A contractor will employ a team of professionals to build the porch. The primary job is carpentry, and the pros will charge by the square foot, usually between $20 and $40 per square foot. With materials, the average price for building a porch comes out to about $67 per square foot. The construction process will vary based on the amount of work required. 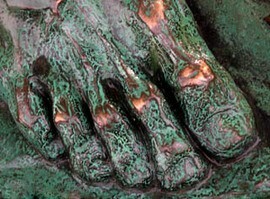 Detail work, as you may suspect, will take more time than a simple, unadorned porch. That being said, a porch could take as few as 3-4 days or as much as two weeks. The construction first starts with building the foundation. This can be in the form of brick, stone, or pillars. The flooring of the porch is built in a process similar to decking, and then railings 1 and columns are added. 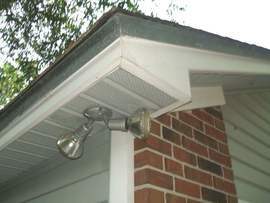 A roof and porch ceiling are also constructed, and, if needed, the porch is painted to fit the house. The deck serves as an extension of the house’s space and is often attached to the back of a house; it is usually an open space with railings and possibly steps. An average deck costs about $33 per square foot. A patio, on the other hand is not directly connected to the house. The patio is typically at ground level and may or may not be covered; patios cost between $11-$21 per square foot. A porch is somewhat similar to a deck. It’s an extension of the house, but it’s usually located at the front or side of the house. Porches usually have rooftop covering, may or may not be screened in, and cost an average of $67 per square foot. A wheelchair ramp may be necessary for your household, but this will add significantly to your costs. A wheelchair ramp needs to conform to ADA guidelines and will need to be no more than 30 feet long and at the top can be no more than 30 inches high. This can cost $100-$250 per linear foot. What’s the point of having a porch if you can’t sit outside and enjoy it? The best way to appreciate your porch is by sitting out there, so you’ll need to make some sort of arrangement for seating. This can come in the form of built-in 5 benches, but you’ll have more flexibility with moveable furniture. Chairs can be as inexpensive as $60 new, but you’ll probably want multiple chairs or even a couch. Porch swings cost $100-$600. Ceiling fan: a fan that is attached to the porch ceiling and circulates air. Ceiling fans cost between $110-$400. Fire pit/Outdoor fireplace: outdoor unit that’s appropriate for building a small fire. Fire pits cost $90-$600. Just remember to always follow fire pit safety guidelines, especially if you have an open fire under a roof structure. Speakers: outdoor speakers start at $75. Heater: outdoor heaters direct heat to a focal point or radiate out from the unit and cost $125-$400. Outlets: electrical outlets provide power outdoors. Electricians cost $65-$85 per hour. Before you add on to your house, you may want to consider contacting your homeowner’s insurance company. Some policies are set to specific house sizes, so if an expansion may not be covered. You’ll have to work with your agent for policy-specific information. Unless you live in a unique area, you’re probably going to need some sort of permit to build your porch, regardless of if you do it yourself or hire a professional. To get a permit, you or the pro will need to submit plans to your municipal department. The cost for acquiring a permit will vary based on the size and scope of the project and specific municipal rates. With permits come regulations. For example, if your planned project is above a certain height above ground, which varies by area, you may be subject to site inspection from the city or county. Porches also have to conform to the local building code for safety purposes. For these reasons, a knowledgeable contractor is an invaluable resource. Contractors understand local codes and housing regulations so that you don’t have to worry about compliance. As we’ve discussed, there are many, many different porch styles, and every style doesn’t match every house type. You need to consider your house’s aesthetics before you build. A porch that’s looks out of place could deter a potential buyer! While you may consider yourself a do-it-yourself-er, the practical considerations that come along with building a porch may make you think twice about the DIY approach. Building a porch requires knowledge of deck and foundation-building, as well as knowledge of roofing. You would also need to understand building codes. A contractor can take care of all of that for you, while making something you can be proud of. Building a porch can get very expensive, especially when you have so many little things to take care of, like applying for permits and procuring supplies. There are a few ways you can save yourself a little bit of money. One possible DIY aspect is removing the old deck from the porch area, just note that while it’s doable in certain cases, more complicated structures may require professional equipment. You can also add screens yourself if you’re doing a screened-in porch. Another great way to save money is to hire a contractor in their slow season, fall and winter. Contractors usually don’t have as much work during this time and may offer a discount. In addition, you can try and simplify your porch project, since the more accessories you add, the higher the price. Check before you apply for permits yourself, as the contractor may include this service in his or her final bill. Inexpensive doesn’t always mean quality. In fact, depending on where you live, you can end up with more expenses than you anticipated if you go with what’s cheapest. If you live in an area prone to high winds, for example, using lightweight materials can cost you in the long run. Cheaper materials can’t withstand harsh weather, meaning you can potentially face short and long-term damage from nature. It varies based on the style or your porch and the materials, but on average, porches cost between $15,000 and $30,400. How much does it cost to build a farmer’s porch? A farmer’s porch costs between $15,000 and $25,000 to build, depending on materials and the level of work required for the roofline 6. How much does it cost to build a screened-in porch? It depends on if you already have a porch to screen in or not. If you already have a porch, it can cost between $2,000 and $4,000 to screen in the porch, but a screened-in porch built from the ground up could cost between $15,000 and $30,400. Deck costs vary significantly, but expect to pay anywhere from $21-$71 per square foot to build a deck. A 20’ x 20’ deck would cost $8,400-$28,400. How much does it cost to build a porch in my city? Cost to build a porch varies greatly by region (and even by zip code). To get free estimates from local contractors, please indicate yours. First, a summary stating the price was added and all sections were replaced with more detailed ones, including information on the pros and cons of building a porch and the main factors that affect cost. There is now one section explaining the main parts of a porch, such as walls, columns, windows, doors, screens/enclosure, foundation, deck/floor, skirt, roof, accessories and paint. The section “Types” describes the different types of porches, some of them being the Florida room, the loggia, and the sun porch. Moreover, the section “Labor” briefly explains which professionals carry out this project and how they will proceed. There is also a comparison between a porch, a patio, and a deck. There is also a section dedicated to enhancement and improvement costs which is divided in several subheadings: wheelchair ramp, seating, and accessories. The last section, “Additional considerations and costs” provides useful information about DIY possibilities and regulations.